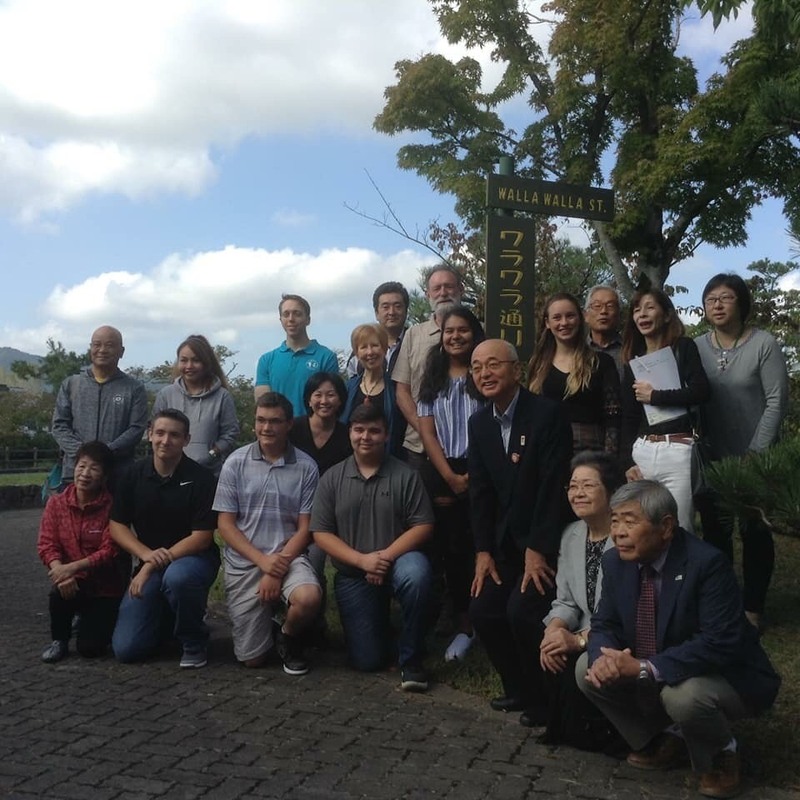 College Place High School students traveled to Sasayama, Japan for the first time last week as part of the Walla Walla-Sasayama Sister City Affiliation. This affiliation is a citizen-run, non-profit organization. Their mission is to promote peace, friendship, international and cultural understanding and goodwill between Walla Walla, Washington, USA and Sasayama, Hyogo, Japan. The sister-city relationship was established between the City of Walla Walla, Washington and the City of Sasayama, Hyogo in 1972. That same year, each city named a road for their counterpart city. “Sasayama Drive” can be found in Walla Walla as the entrance street into Pioneer Park off of Alder Street. Currently the Committee offers an annual student exchange, but is always looking to develop new ways to bring the Walla Walla Valley and Japan together. The student exchange occurs every fall and spring with the Walla Walla Valley sending students to Sasayama each fall, and then hosting Sasayama students each spring. The student exchange consists of a two-week, home-stay experience where they engage in cultural, historic, educational, as well as tourist activities. Past exchanges have included students from Walla Walla, Dixie, Athena, Waitsburg, and Dayton. This year is the first year students from College Place High School participated The fall exchange will take place from October 5th to October 19th and consists of 5 students and 3 chaperones. The following CPHS students are participating in the exchange program. The Walla Walla Sister City Committee has been the recipient of the Washington State Sister City Association Peace Prize in 2011 and 2014 for their involvement in promoting peace, cultural understanding and friendship.